Echinacea is used as an immunity booster. It causes an increase in the number of immune cells, further enhancing the overall activity of the immune system. 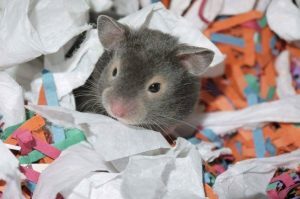 It is recommended to use non-alcoholic enchinacea for pet rats. Once a month, for one to two weeks, it is put in the rats’ water bottles. 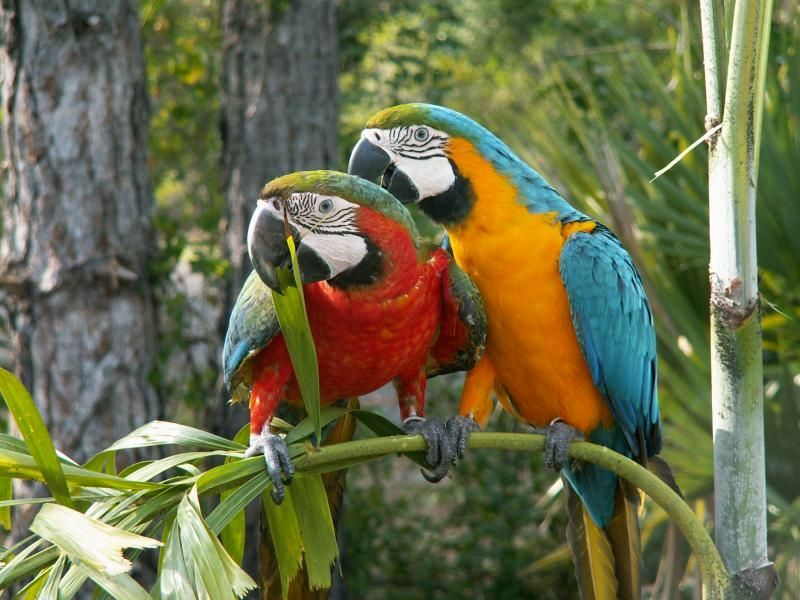 They get 6 drops per 8 ounces of water. 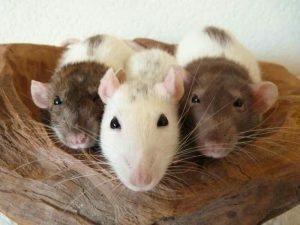 Do not continually give your rats echinacea for they will build up a resistance to it and it will not be of any benefit. 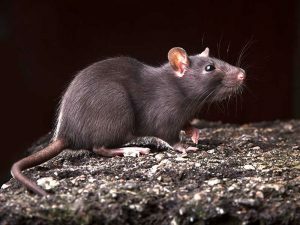 Rats cannot vomit. Therefore there is no reason to make them fast before surgery. 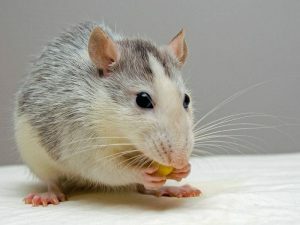 Indeed, rats need all the energy they can get before surgery because there can be a lot of heat loss during an operation, increasing the risk of hypothermia. 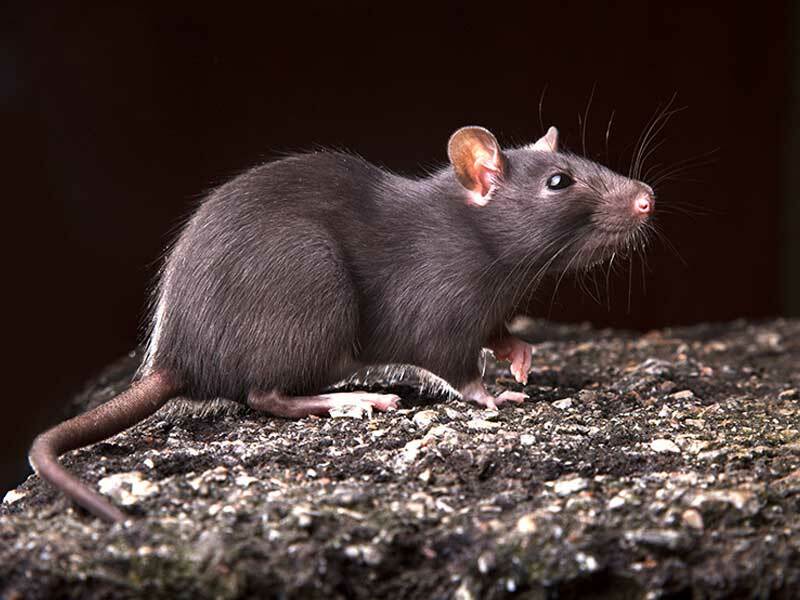 If a rat has not eaten, he or she cannot produce as much body heat and is at higher risk. A few months after I first got Rimsky and Korsakoff I noticed that they each had a few small scabs on the skin in their shoulder regions. I didn’t know what was causing the scabs…. the boys didn’t seem overly itchy and they only had one or two small scabs at a time so I decided that maybe a few of the wrestling matches might have gotten out of hand. 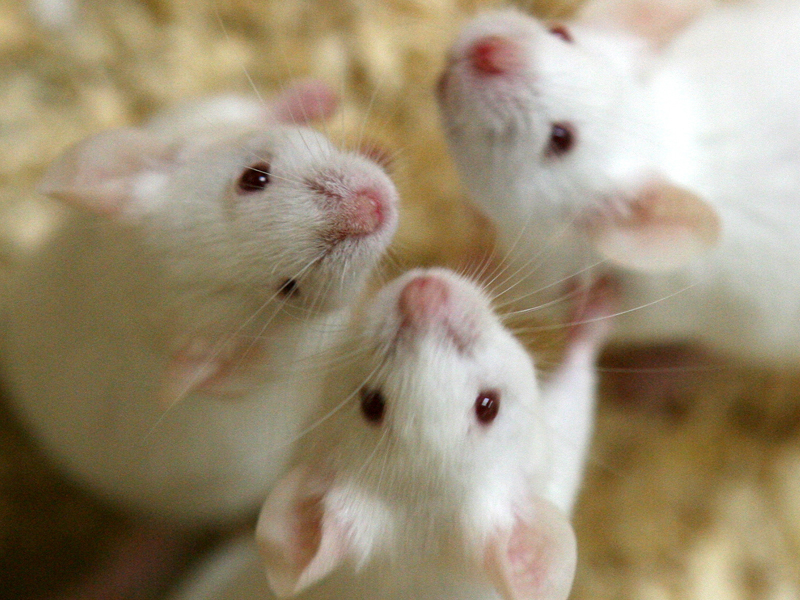 Since my rats are half a kg each, they should each get 3 mg (half of 6mg/kg) according to the known dosage. This will never be a complete list, and the more contributions, the better. If you have any additions you think should be added to the ever-growing list please send us an email. Note that definitions are VERY generalized, and everyone will have a different opinion about them. Bruxing – The teeth grinding sound made by a happy, contented rat. Kind of like a cat purring. Sorensen isn’t just a verbal defender of the maligned beast. 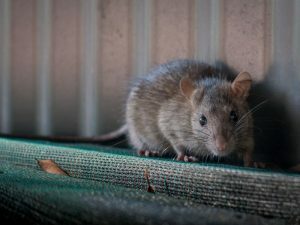 The downtown resident has also become a low-cost-housing provider for the scurrying, furry four-leggers. 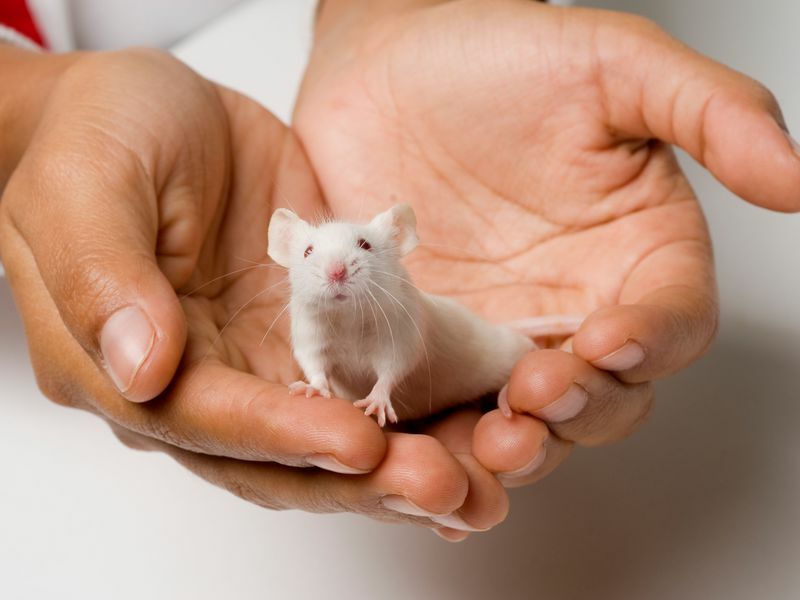 Sorensen saves domestic rats from death by arranging new loving foster parents who offer shelter, food, attention, care and just about everything short of a university education. So how did Sorensen become a benevolent Pied Piper? Was it a result of growing up on a farm in Newmarket, Ontario? Or perhaps some genetic predisposition of her Danish ancestry? One of the worst possible scenarios when owning rats is to find a lump on one of them. Lumps usually turn out to be one of two things: a tumour (benign or malignant) or an abscess. Luckily (sort of) for my rat Korsakoff, a lump on his abdomen turned out to be a rather large abscess. 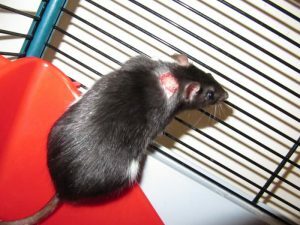 Here are descriptions of my two experiences dealing rat abscesses – once with Korsky in February 2002 and once with Ivan in June 2003. Within 24 hours the inflammation around the abscess has gone down and the size of the lump has decreased significantly. Korsakoff is being very good at keeping the area clean. I decide to rinse the cavity by squirting the saline solution inside twice daily. The cavity has shrunk to basically nothing so rinsing the area seems pointless now. I am amazed at how quickly it has healed. 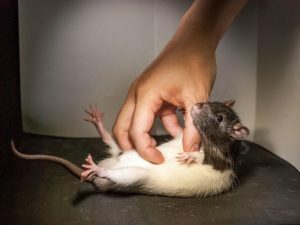 After doing some research on the internet and asking some rat owners about abscesses, I confirm my suspicion that abscesses need to be drained to heal. Some owners suggest allowing the abscess to burst on its own while others say that the best thing to do is have a vet lance the abscess. Either way, the abscess must be drained in order to heal. The vet did not discuss this with me. If an abscess is allowed to grow, there is always the risk of it popping internally which can lead to severe infection and death. I decide to do more to try and help the abscess to burst on its own. Due to the increase in inflammation, the abscess feels like it is quite close to the skin. I take a very small amount of the skin over the abscess between the fingernails of my thumb and index finger and give it a quick pinch. My reasoning in doing this is that a tiny area of bruised tissue will allow a scab to form. Korsakoff barely notices. Over the past year or so, a certain type of medication has received some slight but much deserved publicity as an amazing tool in the fight against respiratory infections in rats. 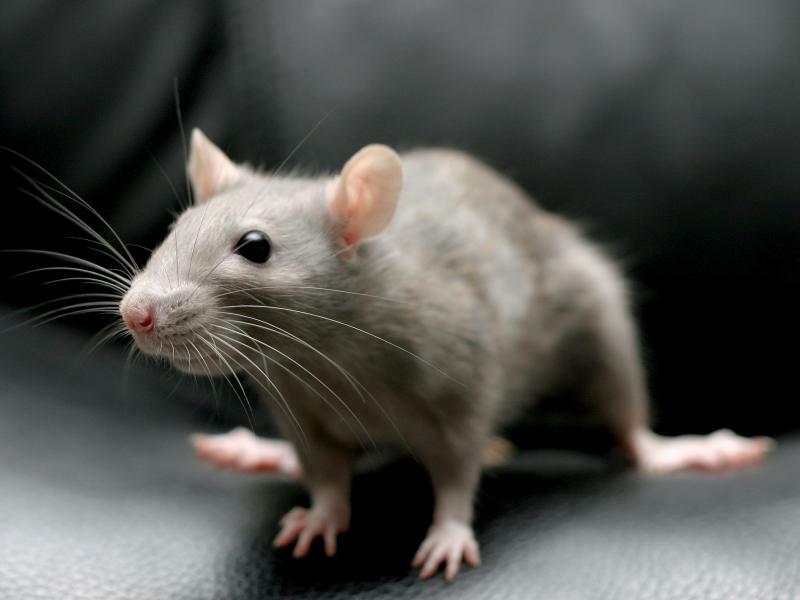 Practically all pet rats have a bacteria (Mycoplasma pulmonis) in their lungs, and this bacteria is usually responsible for the respiratory problems that are so common in pet rats because myco gradually damages the lungs – making rats more prone to secondary respiratory infections. Vibravenous (or Vibravenos) tetracycline is an injectable, slow-release form of doxycycline. 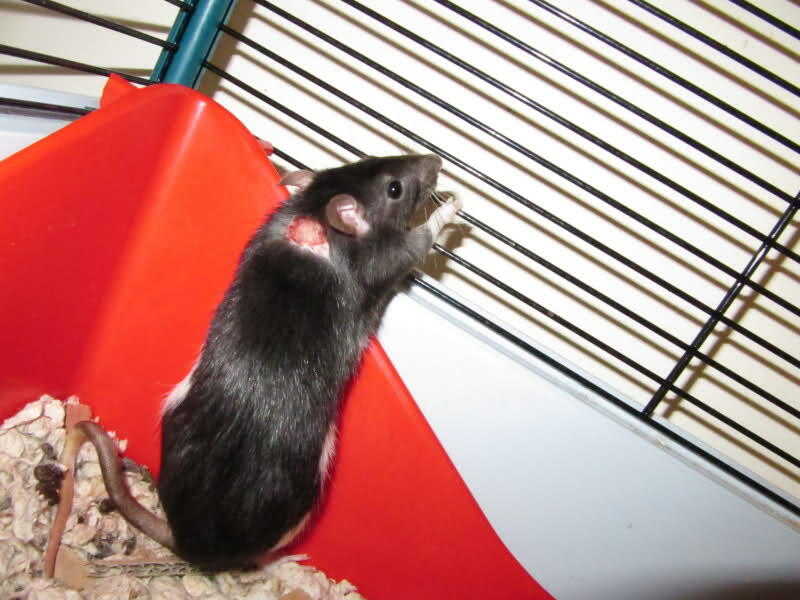 In May of 2002 my rat Rimsky suddenly became very ill with a respiratory infection. Previous to this, he had been on azithromicin for a couple of weeks to try and clear up some mild symptoms but then he suddenly went downhill. He was extremely lethargic, breathing heavily and refused to eat. He would only take a little water from a syringe. A trip to the emergency vet wasn’t very helpful (no proper antibiotics) but Rimsky did get some sub-cu fluids and oxygen. Rimsky had to wait until the morning to see a regular vet. In the morning, Rimksy looked near death, laying on his side heaving. I asked about the dosage of the medication that Rimsky had received and all the vet told me was that the concentration of the solution was 100mg/5mL. I snuck a peek at one of Rimsky’s patient sheets and it said that he had received 1 cc (1 mL). I intend to get more detailed information and verify this information the next time I go to the vet. From this information, I tentatively believe that Rimsky received 20 mg. 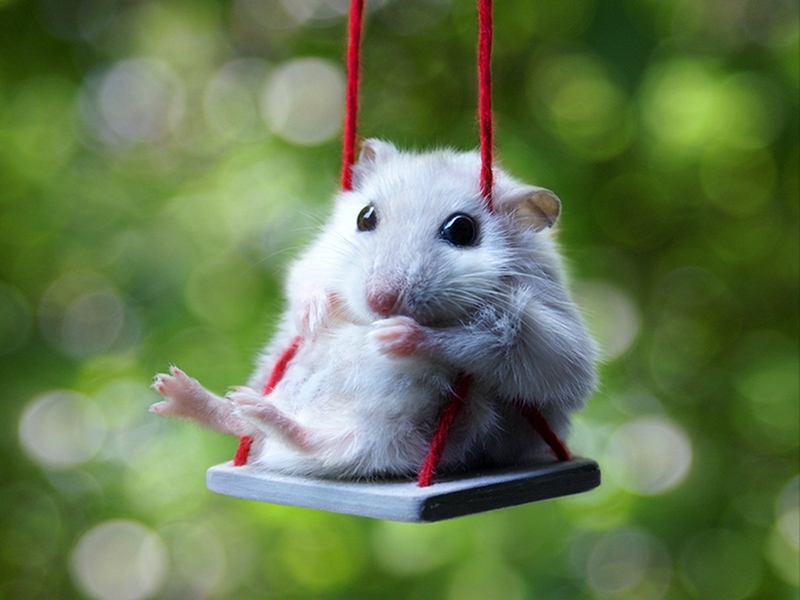 He is roughly 500g (0.5 kg or 1 lb) in weight, so he got a dose of 40mg/kg (or 20mg/lb). This seems a bit low compared to some other things I have read. 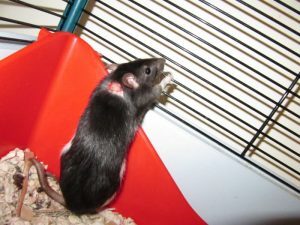 My Rat “Casper” was born on the 28th October 1998. 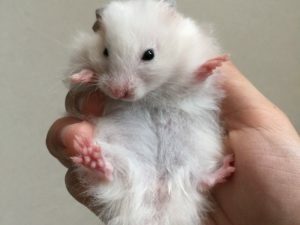 When she was about 3 or 4 weeks old she and two of her brothers (from a litter of ten) were noticably smaller than their siblings. 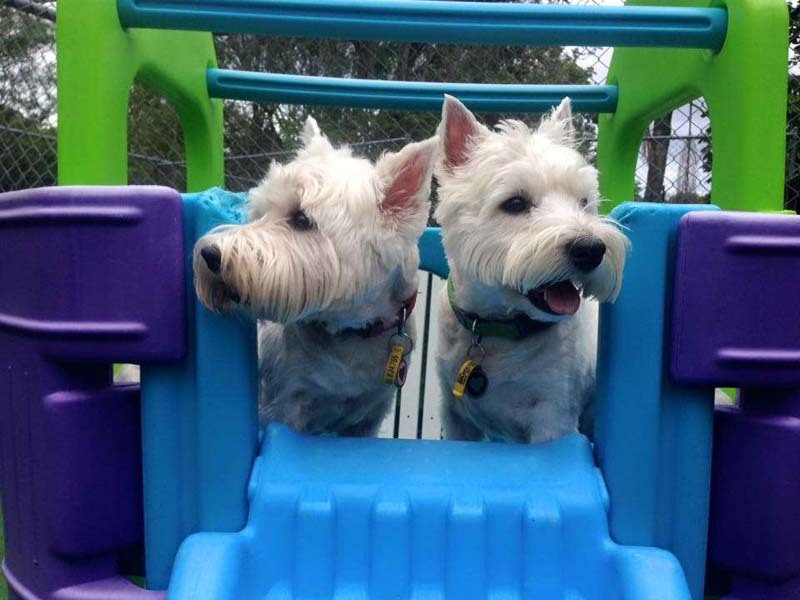 Sadly the two little males died at 3 and 3 1/2 weeks old, respectively. By the time the rest of the babies were 5 weeks old, it was clear that Casper was always going to be quite tiny. The remaining 7 babies went to new homes, but I decided to keep Casperwith her mother a bit longer. Why would you have a rat for a pet?! 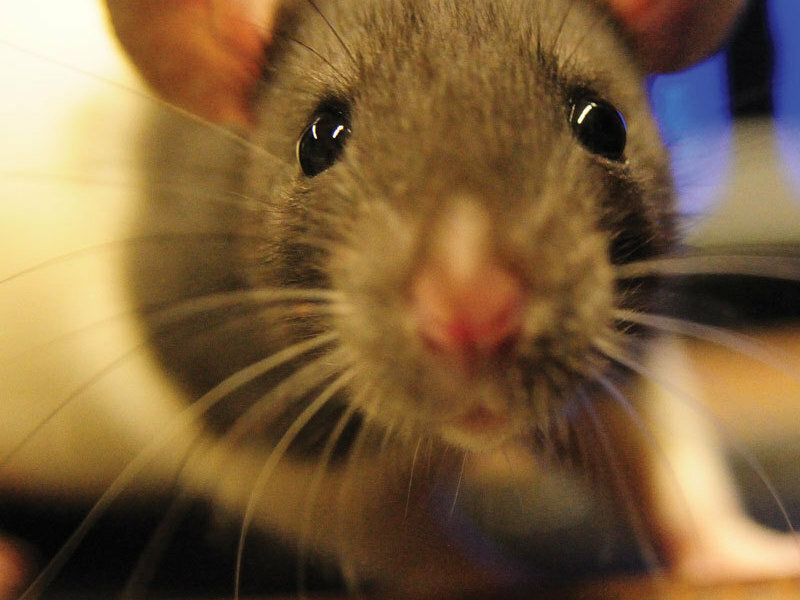 Rats are the most loving, intelligent and entertaining of any rodent/pocket pet. 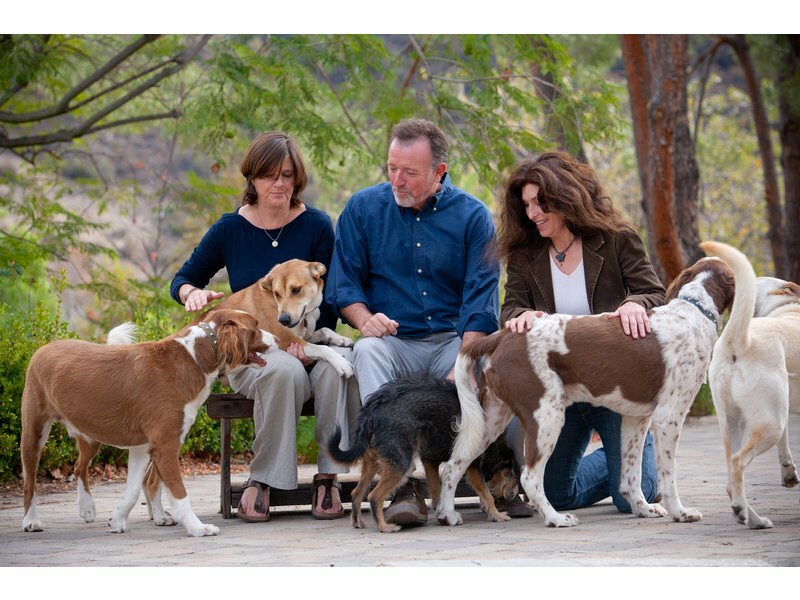 They are very clean and can learn simple tricks, such as to come when called and to sit up for a treat. 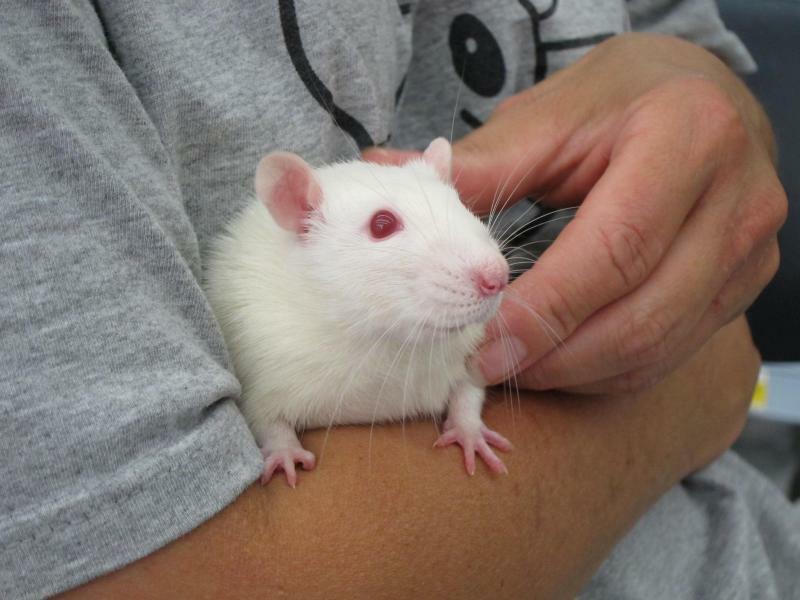 Rats can be handled outside of their cage and is a necessity for their social bond with humans. A rat will be perfectly happy to ride around the house on his humans shoulder. Describe the types of rats that you breed or intend to breed. RED, predominantly beige in english variegated and satin. Also PED in dumbo and rex. Possibly blue in dumbo and rex aswell. I am eventually striving for dalmations. Whatever the animal, they’re all among the non-traditional pets that a growing number of people are opting to share their lives with instead of old favourites like dogs or cats. “For example, non-traditional pets like reptiles are hypoallergenic,” says McCann from PIJAC’s Canadian headquarters in Orleans. 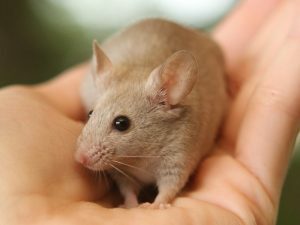 Nelson says she’s successfully placed rats with families; with a Vietnam war medic; as well as at Douglas Hospital, a mental health institute in Montreal where they’re used in pet therapy. There are many types of bedding and litter on the market and many of them are very good. But first a warning about the bad stuff. Pine shavings and cedar shavings are a big NO NO! 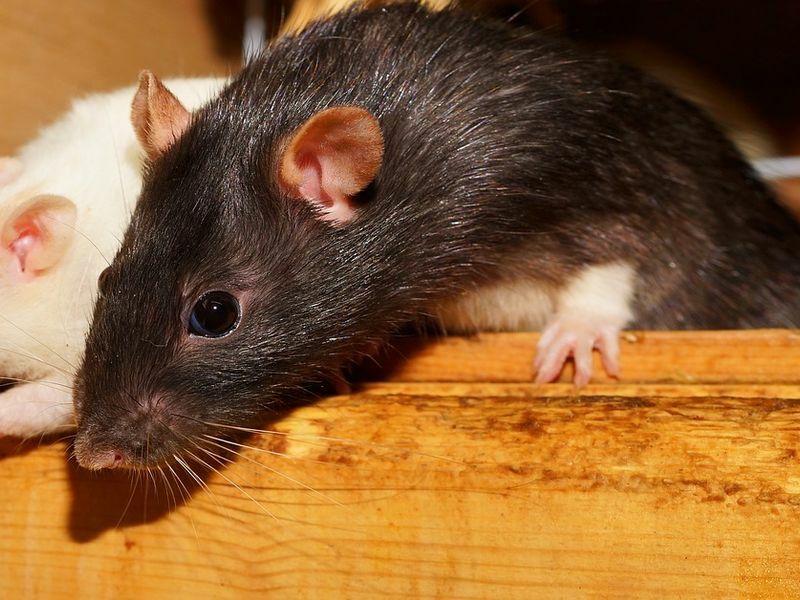 The oils contained in these types of wood are toxic to rats and may cause them to have respiratory infections and difficult breathing. Sadly many pet shops recommend the use of these two products and many first time rat owners, unknowingly, buy it because you get a lot for little money and it smells good. But please do not let this persuade you into buying it. It could mean your rats life. Francisco Vietto is one of the chief specialists of The Getafe Veterinary Clinic. 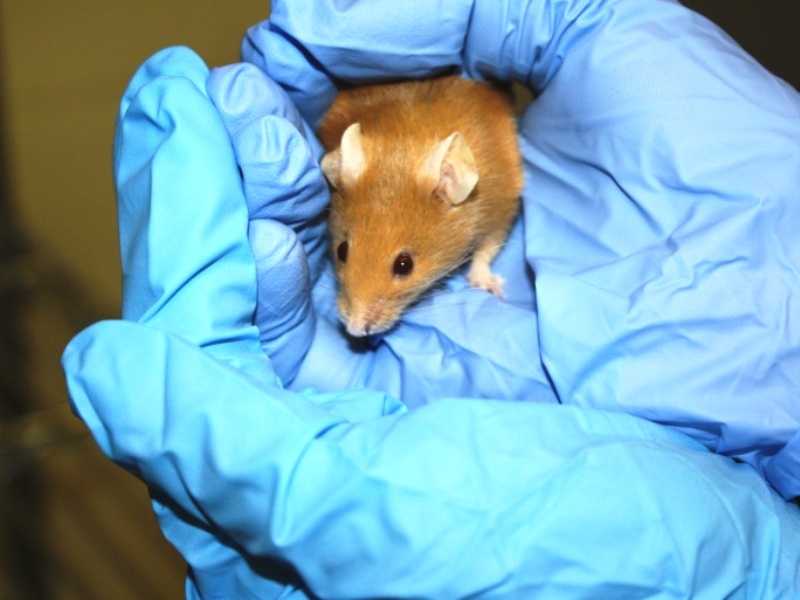 He is the author of many scientific works on the topic of microbiology in veterinary science. Now he is a thirty eight years old family man.